Swap & Sell Items will be added to the website when possible. Sizes from mini's to draft. Vendor – Hats and other driving accessories! center November 18 & 19. Come see me about your next season's turnout. 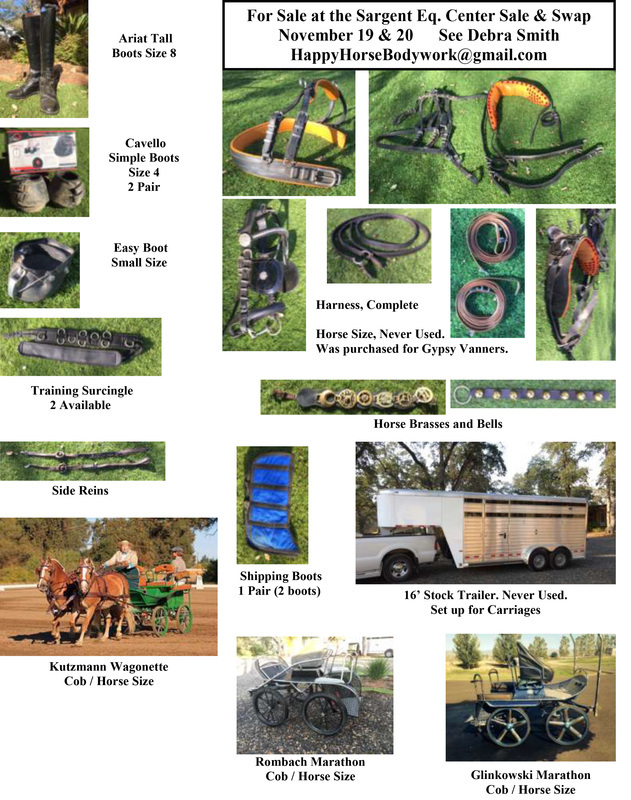 Great Shape - set up to haul wagon, show boxes & 6 draft horses also ample storage overhead & belly. All "details" will be removed before the Swap & Sale. Here is a sample of apparel that will be available. There will be women & men's suits and coats of various sizes. Breaching. Riding & Driving gloves, lap robes. New Transmission. Needs crank shaft. Bigger Turbo.